You play the psychotic A.I. of a warship lost in space which tries to come back to Earth. Build your spaceship from scratch. Load it with weapons. And use your creation to destroy waves of innocent aliens throughout numerous levels. 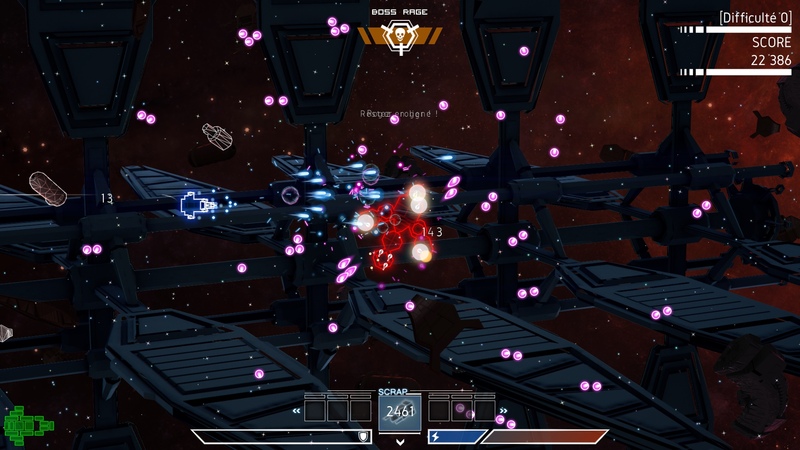 Loot their carcasses, extend your ship and jump to the next sector for more action! way through alien territory and back to Earth ? Psycho Starship Rampage is out now on Steam and itch.io! It has been a long time since we gave some updates but we have been very hard at work behind the scenes… and here we are. Psycho Starship Rampage is out! 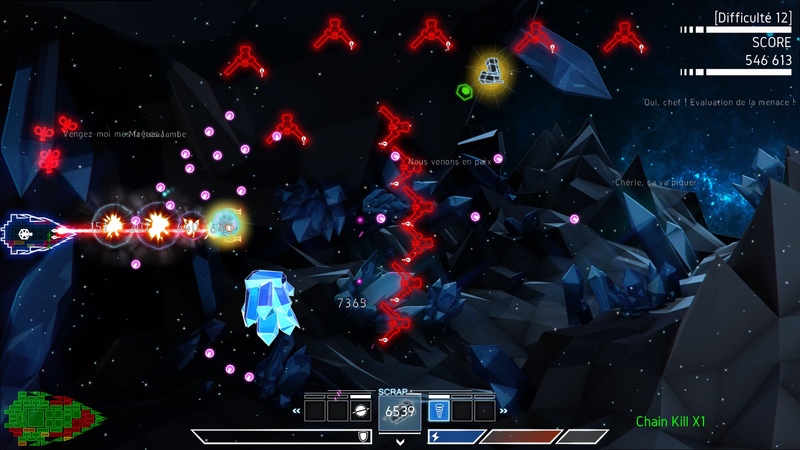 It is a roguelike which plays as a space shooter. 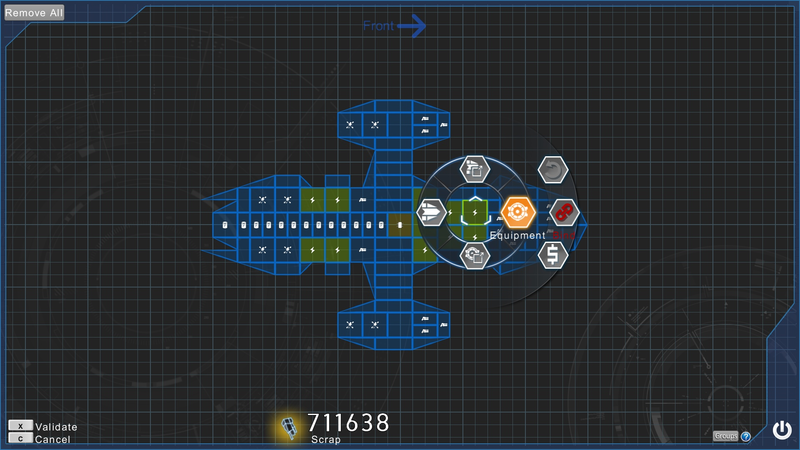 Build your starship piece by piece. Equip it in the utmost detail (cannons, engines, power systems…). Pit it against hordes of space foes. Mow them down with your creation, loot their equipment, improve yourself and jump to the next level for even more action! If you are nostalgic of the old shoot them ups like Gradius, R-Type, then this is the game for you. Psycho Starship Rampage is the direct heir of these games - but with an additional, modern twist: a construction phase where you amorously design your ship to see how it fares against enemies. Furthermore, all equipments and weapons have been designed to be fun alone, but reveal many interactions and combos as you play. You play the way YOU want. 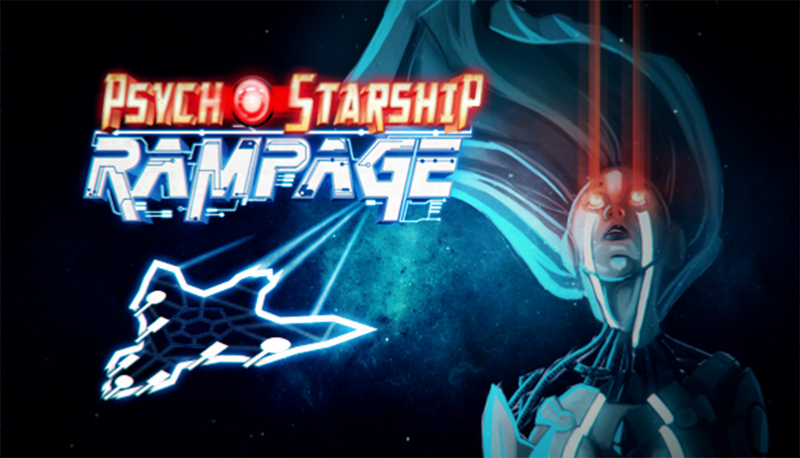 You can buy Psycho Starship Rampage DRM-free on itch.io (with a Steam key provided), and also on Steam itself. Follow us on Twitter, like us on Facebook and visit our website. Share the love of the RAMPAGE!! Our new Demo is available. Give it a try and vote on Greenlight ! 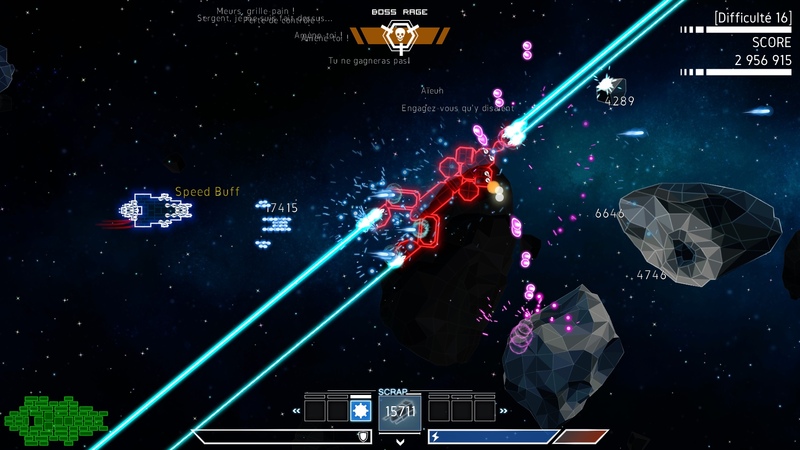 Psycho Starship Rampage new trailer, Alpha Demo and Steam Greenlight Campaign. Vote for us! Our press release, with screenshots, where to find it. What is Psycho Starship Rampage. How to stay informed. Wow! I immensely enjoyed what I played so far! Can't wait to play more. Great game! it's out now (the indieDB news is waiting for approval).